Knowing their markets and being out in the community are several of the many reasons McColly Real Estate was voted the Best Real Estate Local Company/Team in this year’s Times Best of the Region for the fourth year in a row. McColly Real Estate isn’t just another agency selling houses in Northwest Indiana—it’s an integral part of the communities they serve. ​“Whether you are moving into or out of our area, Our Relocation Department can help. Our agents are trained to work with transferees and provide quality service to meet the needs of the whole family. It's not just about buying or selling a house, we know our markets and our Communities including healthcare, schools, culture, local sports, special events and more.” According to Deborah Horton, director of relocation & referrals. General Manager Tracy Parus, who has worked for McColly Real Estate for 22 years, is a prime example of the company’s commitment to community. “Being a Realtor is so much more than just selling homes,” she says noting that McColly’s mission is to create long-term relationships and trust with their customers and clients in order to develop a culture of sharing and caring for the communities they serve. That’s important to the McColly staff says Parus because the McColly Charities gives their Broker Associates the opportunity to become an integral part in making the lives of others better. Since she first started working as an agent in 1995, Parus has seen an exponential expansion of their market share and locations. McColly’s investment in its Realtors shows in their professionalism and dedication, resulting from a number of training and support tools available to them, including in-house coaching, online tutorials, continuing education classes, agent websites, personalized apps, free signage and ongoing professional development seminars. McColly, which last year, had 4,728 total transaction sides closed with $846 million+ in open sales volume, ranking #159 in the Top 500 Brokers in the U.S., has expanded in other ways as well including growing the connection to the community through the McColly Charities. “Since 1974, owner Ron McColly has privately been a local philanthropist.  In 2011, we formally created the McColly Charities,” says Decker, noting that McColly Real Estate, as a member of the Leading Real Estate Companies of the World®, sells more homes globally than any other real estate organization. The 80,000 square-foot addition will include a six-lane lap pool, a zero-entry warm water pool with a slide and other water features, an outdoor pool with a slide, two new gyms as well as walking/running track and six program studios for cheer, dance and group exercise. "I was born and raised in Northwest Indiana,” says founder Ron McColly. “I feel it’s important to lead by example for my own family, to give back to strengthen our communities and see them continue to prosper and grow. Affordable recreational facilities in the region are important to the quality of life." Among the many organizations supported by the foundation are the Crown Point Community Foundation, Crossroads Chamber of Commerce and 14 other regional chambers as well as the Methodist Hospital Foundation, Riverside Hospital Foundation, Cerebral Palsy of Northwest Indiana, Asian-America Medical Society, Forest Ridge Academy, Chesterton Little League, Opportunity Enterprises along with dozens of others. “Additionally, we have had several collections through each of our offices including food drives to benefit our local food pantries, community baby showers--in support of babies that are born into families that need baby care items, Toys for Tots, winter coat collections, eyeglass drives, and people helping pets,” says McColly-Fleener. “Our last drive was a Project Push-Up Bra Collection Drive which my youngest daughter, Rylee, did for her high school senior service philanthropic project and has joined forces with the McColly Charities. Nearly 800 bras were collected and will be distributed to area women’s shelters. I’m very proud that each time we announce a McColly Charities event or drive that our agents and staff rally around it and give 100% to make each and every one of our projects a success.” McColly Charities’ is excited to announce their Peanut Butter & Jelly drive begins June 1st. Peanut butter and jelly will be collected for local food pantries that go empty in the summer months. Collection sites will be at each of McColly Real Estate’s 24 office locations through August 15th. Realizing that training is crucial to every agent’s success—and customer satisfaction is another reason why McColly is number one. To learn more about the McColly Real Estate, visit mccolly.com.